Well, it has nothing really to do with gold. 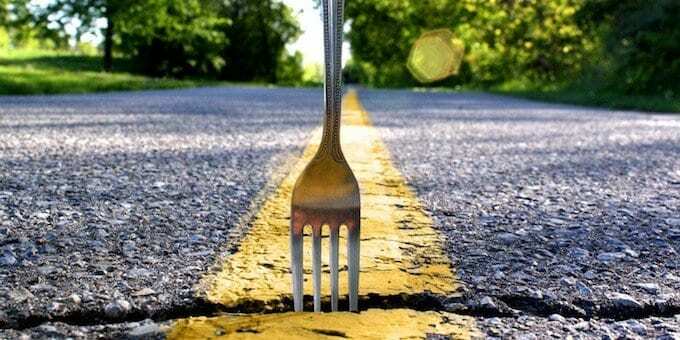 It’s a “fork in the road” in order to change a few things going forward for those who want that. I’m not going to cover those. You can Google it. All crypto is open source code by design. Anyone can copy it. No copyright. No trademark. No patent. And this is its elegance. You get the code, call it something else, do an ICO or just put it out there and see what happens. Even at its worst, blindly investing in all ICOs without prejudice still nets over 1000% profit presently. Let’s be smarter and maybe eek out 3000-500% by passing on obviously stupid, scam, and fraud. So let’s get to the gist. What’s a Crypto Hard Fork? Because of its open source nature, anyone anywhere can do as they wish. There’s no authority to check with. It does not have to be submitted to Congress and the President for votes and signatures. If you have the skilz, you can create a new coin tomorrow using the exact same core code as Bitcoin. Anyone can. You can also HARD FORK it. Anyone can. You can only lose the money it took you to get the hardware and software in place to do it. Soft forks have been done lots, most fail. Hard forks are enticing and have been proven something to pay attention to. First, let’s get some conceptual stuff out of the way and cover conventional stock splits and spinoffs. A stock split is where you have, for example, 100 shares in a company trading at $100 per share, and a 2:1 split means you have 200 shares at $50. Simple. It’s a psychological thing. $100 was too much to pay for a share. $50 is a bargain to pay for a share—that’s a half share. It’s psychological and will become more and more relevant as bitcoin hits $10K and keeps sailing, and people aren’t yet talking about the trading value of a Satoshi, worth 1/200th of a US cent right now…Bitcoin’s built in ‘stock split’ and subject of a future fun post. A spin off, in theory, does something different. Say you have 100 shares in a company trading at $100 per share, and it splits off what’s accounted to be 1/3 of the company worth, so in exchange, you get 33 shares in the new company. In theory, the parent company stock sells off to $66 per share, you have 100 shares in the new company at $33. So, in theory, you begin with about the same total value, but in two securities instead of one, and from there they do what they will, separately. What happens from there can be very beneficial to investors (Ebay and PayPal as an example) or detrimental. Sometimes, the sum of the parts is less than the former whole. A crypto hard fork can be at least as good as the best hopes from an equity spinoff and the August 1 Bitcoin Cash, hard fork (Bitcoin spinoff) proved that. At the time of the fork, Bitcoin was trading at about $2,700. Bitcoin cash then began trading a bit over $300. It climbed to over $600, now trades back in the 300s. So, per the theory of stock spin offs, Bitcoin ought to have adjusted down, trading at $2000-2500. But Bitcoin isn’t a stock. Anyway, so, Bitcoin Cash was a decent money-making opportunity, especially for those who may have had a lot of BTC, and were subsequently unable to unload Bitcoin Cash at $600. So, how do you participate in the Bitcoin Gold hard fork, coming up sometime on October 25 (when its blockchain reaches block 491,407…so no set time)? Bitcoin articles proliferating. Saudi gazillionaire investor Sheikh Alaweed (fullaweed) is trashing bitcoin. Venezuelans risking arrest and torture by “mining” bitcoins and spending fortunes on machines for mining (special computers and algorithms, I suppose). Don’t ask me how that works. Bitcoin developer conference advertised on this website at Stanford. The process marches on . Stay tuned. GBTC (the shaky bitcoin trust) has announced they are going to sell all Bitcoin cash they received through that hard fork and pay proceeds to equity holders as of Nov 4th on a 1 bitcoin cash per 1 bitcoin basis. Be interested to see how much actually winds up in my account, and what happens after the November fork. Since the announced the sale I imagine the price will come down on the bitcoin cash.